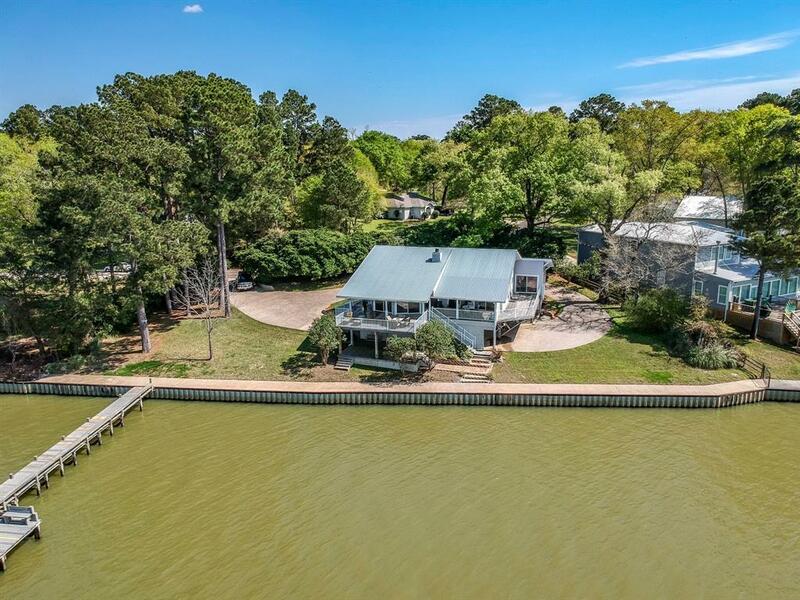 Very Private Retreat on the Water. 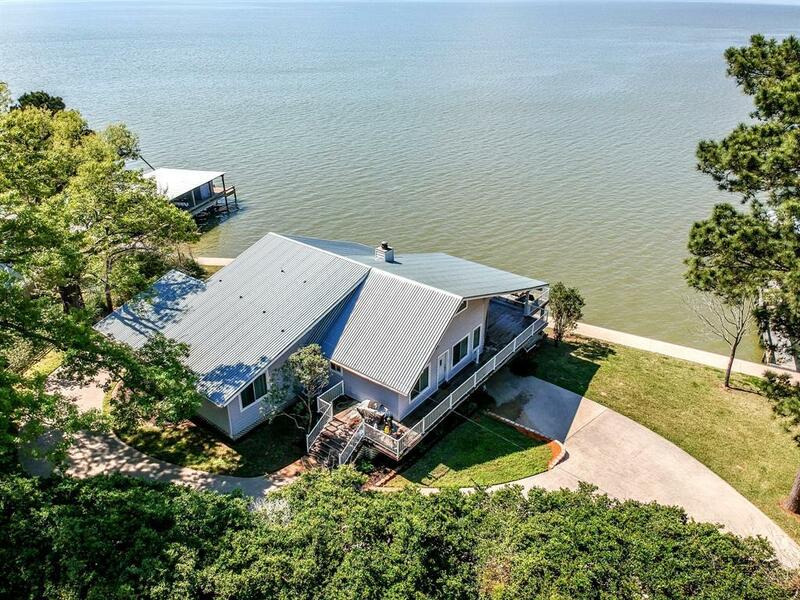 House is on 3 lots with approximately 210' of steel bulkhead with 6' sidewalks along the lake. The home has unobstructed views of the water from most rooms in the house. 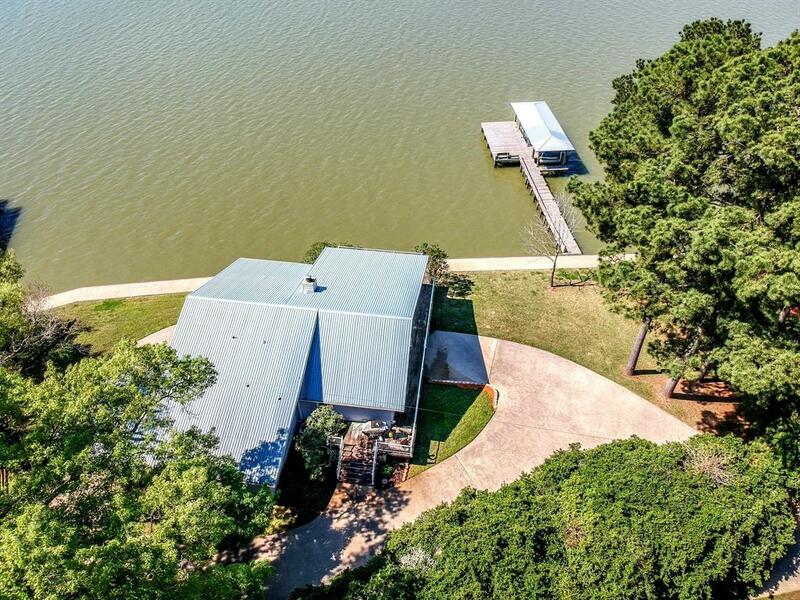 This house has two master bedrooms both with modern glass doors to the covered decks overlooking the lake. This house has an undated mid-century Modern feel. With three bedrooms and three full baths plenty of space for everyone. Boathouse had major updates including new pilings less than two years ago. Boat house has room for a large v bottom boat up to 23' in length an bring your jetski for your new lift. Wood decks are covered with Cumaru wood and naturally beautiful rot-resistant wood. Covered area below the home has two storerooms for you yard tools and toys. Circular driveway raps under the house for wonderful covered access. 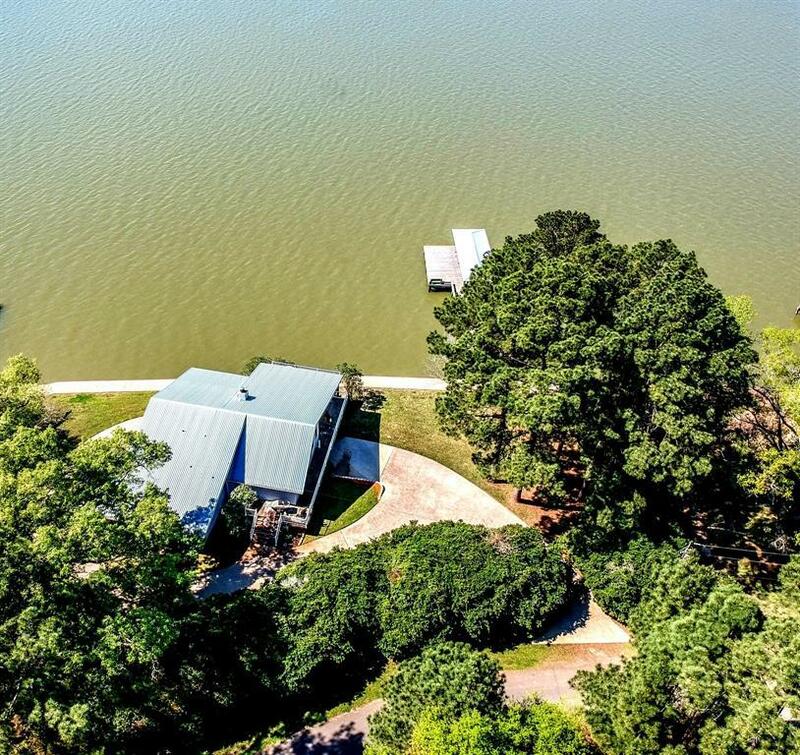 If you don't like to see neighbors and you want unobstructed water views with a great retreat waiting for year-round fun at the lake.